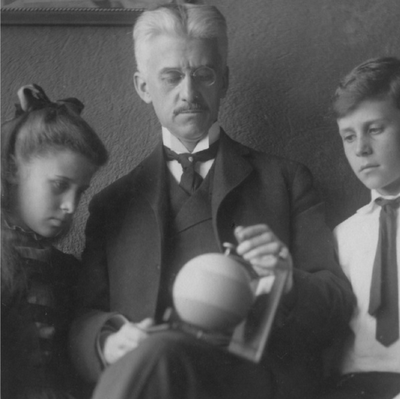 Although best known for his Munsell Color System, Albert H. Munsell was first an artist, although little is known about his art. Munsell was in his early 20’s when the Impressionism art movement was in full swing (1870’s to 1880’s). In fact, from 1885 until 1888, Munsell studied art at École des Beaux Arts, across from the Louvre in Paris—the heart of the Impressionist movement. While studying in Paris he won several awards for his work in anatomy, perspective and composition. 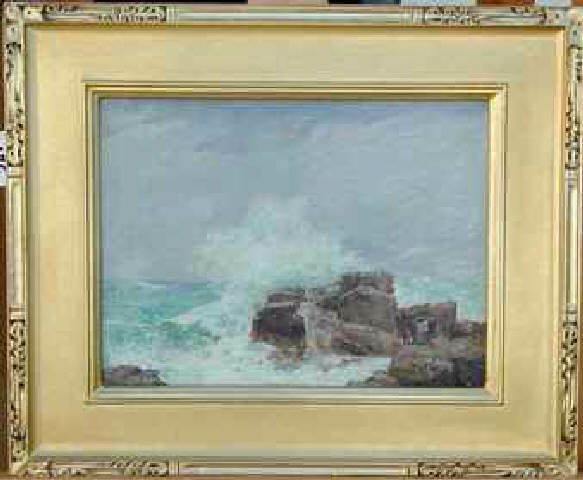 Though likely influenced by the Impressionist movement, Munsell was known for his seascapes. In the late 1880’s Munsell shared his ideas on the Munsell Color System with peer and colleague Denman Ross, Harvard professor of art theory and history—and not a fan of impressionism, but instead preferred the palettes of the Rennaissance movement. 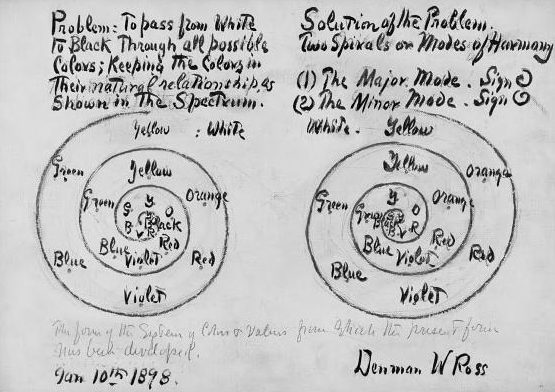 Both Ross and Munsell were seeking a systematic means for describing visual perception of color. They studied scientific theories on color including the popular Modern Chromatics, published by physicist Ogden Rood in 1879. According to Munsell’s diaries, the two discussed Munsell’s color theory while on sketching excursions. On one excursion Munsell described his painting, “Chloris Calls,” where he arranged what he referred to as a “spectrum circuit on the rim of a circle” (perhaps a primitive version of his color sphere). Then, while on another sketching excursion—this time along the Grand Canal in Venice, Italy—the two were discussing famed Venetian Renaissance artists, Tintoretto and Veronese when the topic of a “systematic color scheme” for painters came up. Munsell shared the spirals he used use for his painting “War Cloud,” which was likely a seascape, since it was painted in what’s now known as Smuttynose Island just off the coast of New Hampshire. One can easily imagine the lively debate that ensued when Ross told Munsell that he doubted the value of Munsell’s color sphere, but thought the photometer a useful device. 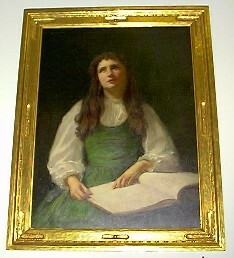 Portraiture was a popular staple of many artist’s portfolios, and so it was for Albert H. Munsell. One of his most notable portraits was that of his father-in-law, Alexander E. Orr. 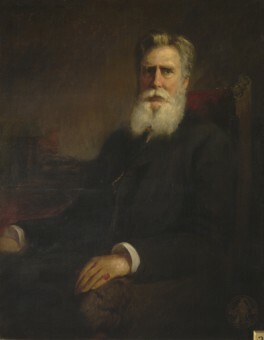 In 1903, Munsell, busy with a wife and children, produced the oil painting of his father-in-law, who was a successful businessman credited with arranging the financing and construction of New York City’s subway system. A. H. Munsell Color Diary, 1899-1918, Volume A Part 1, pp 2-3, Volume A, Part 2, pp 32a. Courtesy of Rochester Institute of Technology, Munsell Color Science Laboratory. Marie Frank, Denman Ross & American Design Theory (University Press of New England, 2011) pp 96-97.